The KeyWatcher and KeyWatcher Touch building key management systems let you instantly audit any key so you can determine who took it out last, if it is overdue, and its transaction history. You can also generate scheduled reports on keys or users for accountability purposes. All data is automatically recorded by the system, so you never have to worry that staff might forget to sign out a key on retrieval. By maintaining control over who can access keys and having an automated audit trail of all key access activity, municipalities can be better prepared for emergency situations. A modular, scalable design lets your facility key management system adapt to your needs and protect credit cards, laptops, and a range of other valuables. Perfect for public and office environments, both KeyWatcher and KeyWatcher Touch protect all your assets within an all-steel, vandal-resistant housing, and offer alarm functionality and e-mail/SMS1 alerts to keep administrators up to date on key status. Case Study: Cincinnati’s Metropolitan Sewer District Relies on KeyWatcher® for Fleet Management. 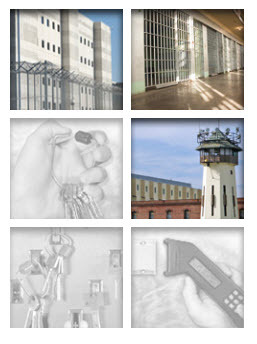 Case Study: Lubbock County Detention Center Utilizes Key Control Systems. Case Study: KeyWatcher Systems address casino and regulatory requirements. Video surveillance, intrusion detection, and other physical security technologies are used extensively to help protect data centers, computer rooms, and equipment racks from outside threats. When integrated with data center key access control, these measures prevent entry for unauthorized personnel or those who would do intentional harm. If you own or rent an individual server cage in a data center environment, you need to keep your equipment and data safe from physical threats. When maintenance is required, it’s critical that only authorized individuals have access to that hardware. Our KeyWatcher electronic key cabinets will not open until the system verifies that the user has specific permissions. This setting provides a double layer of server security – unlike competitors’ systems. 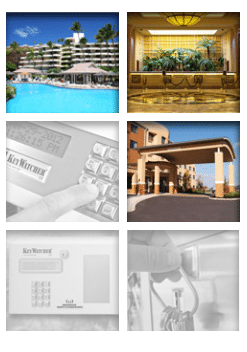 These security systems can also be configured with card or biometric readers and networked for centralized control. Our data center key access control systems like the KeyWatcher and KeyWatcher Touch have email and SMS1 auto notifications to alert you anytime someone accesses a key to your data center unit. A “notes” feature lets that individual provide a detailed message, so you know what work was performed. Individuals attempting to leave the restricted data room without first returning the key for the rack lock may be denied exit from the area. Or, the key management system may send an email alert to security advising that a key has not been returned as scheduled. Tracking and reporting with TrueTouch and KeyPro key management software provides a record of everyone who removed a key, when it was removed, and when it was returned to the key cabinet. Reports can run and delivered automatically to management on a regular basis. The robust reporting system will also help to track and improve processes, ensure employee honesty, and minimize security risks. You can group keys on tamper-proof key rings to help organize key sets or speed removal of more than one key for a specific use. Save time, reduce training, and overcome language barriers with the instant key release. KeyWatcher and KeyWatcher Touch recognize credentials and release specific keys or key sets immediately to their users or groups while cycling through available sets so that each gets equal usage. We keep making data center key management better. It’s all part of our outside the box thinking – that you’ll find right inside the box. Your vehicle fleet or motor pool may include hundreds – even thousands – of vehicles, each with at least one or more physical keys. Morse Watchmans’ KeyWatcher fleet key management systems help regulate and track vehicle usage while containing operational costs. Our key control systems protect all fleet keys and give you full visibility regarding who has which key, and which vehicle, at any time. Our fleet key management systems provide information on specific key returns and removals. Users can select from a list of notes pre-set by you and add their comments using the keyboard. Get keys in the hands of employees even faster with the quick release feature. A group release option lets you rotate group keys so your vehicles get equal use. Easy set-up lets key users either return keys to any KeyWatcher in the system or return keys to their original location. Vehicle fleet keys are often an expensive replacement. Make it easy to find the specific key needed and limit loss with a vehicle key management system. Keys for specific fleet groups can be grouped on tamper-proof key rings and an audit trail will ensure that the last person to take out any keys can be identified. Unlike traditional key boxes that are often only a locked metal or wooden box, our key cabinets are constructed of high-gauge steel with polycarbonate windows that resist vandalism. Keep accountability even when it’s not your employees accessing the keys. With a wide variety of sizes, including eight-key systems, you can provide contractors with credentials to access a specific cabinet and make sure keys stay where they belong. The savings more than cover the cost of the systems, and knowing your keys are safe is priceless. Use scheduling to ensure that older cars continue to get driven even when new cars are added to the fleet. Key reservations guarantee that multi-seat vehicles will be available when needed for large numbers of passengers and won’t already be in use by a smaller group. Fleet key management software is available to optimize the installation, programming, customization, maintenance, and reporting capabilities of the system. We keep making fleet key management better. It’s all part of our outside the box thinking – that you’ll find right inside the box. Our airport key control solutions let administrators establish system-wide access privileges for personnel, individual keys, or work shifts in question. Supervisors or authorized staff can enable customizable email and SMS1 alerts on select systems to let them know when a key becomes overdue, if an alarm is triggered, and more. These key security systems let you audit the current status and transaction history of any key(s) on demand. You can also generate scheduled reports on current/past key or user transactions for reporting or internal purposes. With Morse’s key control systems, you get a modular, scalable solution ideal for securing keys, weapons, and handheld devices that must be properly accounted for beyond security checkpoints. SmartKey Lockers provide employees with additional options for securing tools, laptops, and other larger valuables. Bigger facilities can also look to KeyBank or KeyBank Touch to streamline the management of hundreds or thousands of keys. Automotive dealerships and rental fleets have a need to track car key activity, reduce unauthorized access, and cut down on the misplacement of keys. One of the most secure options to address all these needs is a car dealership key management system designed to control access to keys in a vehicle lot, servicing bay, or inspection shop. Each key secured in a KeyBank Auto or KeyBank Touch system is attached to a locking device with a unique identification chip. Dealership keys are accessed and returned only by pre-authorized individuals using a PIN code or other identification methods (e.g., access cards, biometrics). Monitoring dozens or hundreds of vehicles, lost keys, mystery mileage, and unexplained damage can lead to unnecessary expenses. Morse Watchmans’ dealership key storage systems help you track where all your keys are—and where they’ve all been—all in real time. These systems offer a tangible and proven ROI. For example, a typical car key costs approximately $100 to replace, and a remote key fob may cost as much as $480 to replace – costs that quickly escalate when incurred in a large dealership. Unauthorized vehicle use and damage can cost even more. Morse Watchmans’ dealership key storage systems can help quickly cut down or eliminate these issues. Car dealership or rental lot managers can quickly audit the status and history of a single vehicle or whole fleet with a dealership key storage system from Morse Watchmans. Custom reports provide insight into model popularity, employee performance, vehicle use, and more, and the accumulated key usage data can be analyzed for both inventory and sales effectiveness. In addition, key control systems thwart dealership criminals who attempt to replace keys with a counterfeit after a test drive. In other cases, the key control system will alert management if an employee has kept a key out when it should be returned. With key reservation functionality, sales staff meeting a customer for a test drive can be confident that the vehicle will be waiting for them at the scheduled time. For example, a salesperson engaged with a customer on the lot can simply log into the system on a tablet or mobile phone to see if keys are available for a test drive. No more wasted time looking for keys while the customer grows impatient. During day to day operations, key tracking software will receive automatic SMS1 and email alerts that inform them if a key becomes overdue. Car key storage systems also offer robust networking functionality for efficient LAN access and network storage, as well as data synchronization for all systems on the network. Whatever your needs, both systems are expandable to grow with your business. Never lose another sale to missing keys again!